C R R Varma is an indefatigable PR person. And he gets hyper when it comes to the unique Swathi Sangeethotsavam..
Varma's son, prince, arts enthusiast and passionate Carnatic artiste ( he learns music under the maestro M. Balamuralikrishna) is equally proud of the Sangeethotsavam and the energy shows when he emcees all the concerts at this fest. Varma Sr. has been deluging us with invites and press releases the past few years and we decided to make it this year. The sun comes out strongly during the day and you are blessed if you are close to a backwater strip or on the coast. But as dusk falls, the breeze deserts the mainland and cohabits in the sea. So when we wander into the East Fort campus and are assaulted by rows of shops selling jewellery, clothes and touristy stuff, we are disappointed. One expected a heritage zone when the address is a palace! Bats create a strange symphony in a magnificent, all-wood building which houses the palace Trust office, now firmly locked. But a teashop wins our attention and we enjoy our first round of payan-pulli ( ripe Kerala banana dipped in flour and fried) which makes a great snack along with tea. Walk of discovery. . .
Not many people, not even the autorickshaw drivers know of the Kudhira Malika Palace. ( It is on the other side of the great Sri Padmanabhaswamy Temple and the palace museum). But wandering in such places has its benefits - you discover interesting nooks. The palace ground is located away from the main road and is an oasis of quiet at dusk. The soft sunshine highlights the 100 plus carved-from-wood horses which create a great fringe to the palace building, like the pallu of a great Kanchipuram silk sari. The raised portico-like section from the long corridor of the palace serves as the stage for the kutcheris. A simple pandal in front of it seats about 600 people. But the sets flanking the pandal are better choices on a windless evening. Showcasing Kerala's talent . . .
Young Manasi Prasad, a vocalist, from Bangalore is on stage one evening. Manasi has had a good season in December in Madras at its annual December season festival and seems to be getting invitations from afar. Varma Jr. is a warm in his introduction and he ensures that he accommodates all the best artistes of Kerala as accompanists. Less exposed as we are to such talent, the Swathi Sangeethotsavam is indeed a great platform. Varma Jr. likes his performers to perform for three hours plus, or even longer, as they did in times gone by. But many rasikas get fidgety at 8 pm and slip away at 8.30 pm. Varma Sr. has managed to attract a dozen foreign rasikas who time their India tour with this fest and they stay on till the end. More Indians should make it . . .
Parassala Ponnammal on stage . . . The next evening is packed. More than 1000 people are here! Today, Parassala Ponnammal takes the stage. This lady, 80-plus, has been creating waves in Madras this December season. Two hosts plucked her out of Kerala and her performances, very vintage in nature, have caught the imagination of rasikas. Varma Jr. tells us that he toiled hard to fight prejudice and cold traditions to have her perform at the Navaratri fest at the temple in the same campus which did not allow women into the sanctum. Ponnammal lives and performs in a different world and if you feel tired after an hour of her performance it is understandable. A monotony sets into the kutcheri. The palace grounds are 'dead' after 9 pm. This could be a perfect setting for a magnificent sound and light show on the Travancore history. Just now, the hawker selling tasty banana and tapioca chips is closing down, volleyballers are spiking freely under the floodlights and Joy Alukkas is seeing off the last of its clients in its jewellery showroom. We are early in the campus the next evening. The temple zone is swarming with devotees who have made it to Sabarimala temple, completing their pilgrimage to the abode of lord Ayyappa, and as they all do, hopping at all the temples they can cover on this sojourn. Exploring palace museum . . . The palace museum is our destination. We have managed to beat the 4.30 pm deadline but the woman wants to issue tickets only after the official guide turns up to accompany us. Time enough for her to gossip with her other colleagues. We murmur a bit, get our tickets and walk through ill-kept banana groves to wait our turn into the palace. In 20 minutes we are taken on our tour in that cavernous, all-wood home of the Swathi Thirunal maharajah - porcelain and Chine collections, armoury, art, artistic roofs, finely carved doors and windows. . . . it is a wee too dark in there and finally, we step into a nook with a window that opens to the sthambam of the Padmanabhaswamy Temple, a nook from where the rajah is said to have penned his classical songs . . .
Time for palam-puri and tea and for the concert of young Master Balamuralikrishna. Still in great form after the 'season' in Madras, the vocalist chugs away. A wee too loud and rough for the quiet ambience of this palace ground. An enchantress of a singer would put us all in a trance at this venue. Varma Sr. and Jr. may have thought about it. Tell them who it could be for Sangeetotsatvam 2009. . . . Thanks for the reportage on this year's "Swathi Sangeethotsavam" - music lovers the world over are grateful to you and a couple of other media for giving info on this unique (it is unique for various reasons from genesis to the way it is run) festival which does not get adequate or deserving mention nationally - except in the very localised media. Most know about this fest by word of mouth and through the Net (they also know about the Navarathri concerts - at least old timers know about the Navarathri Mandapam because of its long traditions and unbreakable records such as Semmangudi singing 59 consecutive annual Navarathri concerts, T. N. Krishnan & Palghat Mani Iyer's unbroken record of being accompanists from their first year - with Prof. TNK stopping only when he decided to stop accompanying anyone and Palghat Mani Iyer's innings ending when he left this world. There the punctuality and timing is strictly maintained ( 6 p.m. to 8.30 p.m.) and the legend M D Ramanathan was punished by not inviting him the next year as he exceeded the time limit by a minute or two! The late Amma Maharani had the good sense to declare that there was no question of Navarathri concerts without MDR and so after that unfortunate gap of 1 year he sang until his last. The relevance here is that Rama Varma has observed other artistes and he himself has experienced the strain of limiting a concert to any time slot. As some of the artists have said it is tougher to keep exact time slots - if there is no such time limit one can give a relaxed concert even of a lesser duration. We have had musicians like T K Govinda Rao & Prof Venkatesh Kumar (Hindustani) sing at Kuthiramalika from 6 p.m. to 10.30 p.m. with a very large crowd listening till the end. Thank you for giving me credit for the PR job. The reason why the festival gets scant attention is because there are no inaugurations, no valedictory functions, no chief guest or guest of honour of the day. There are no arches or frills. Despite offers with strings attached promising huge donations we have resisted banners and posters anywhere in the courtyard - yes there are a few banks and others who give Rs.10,000 or so out of their kindness to help and their banners are put up in the next courtyard of the Bhajanapura Palace visible as one enters the Kuthiramalika courtyard. That brings me to the genesis of the festival conducted by our family. A few years ago the Kerala Government suddenly woke up to remember that one of its great sons should be remembered for posterity and set up a Swathi Puraskaram - why they did not think about that earlier is not an issue worth worrying. Then they decided that the award should be given at a music festival for that purpose and that was christened Swathi Fest - why a Leftist government wanted an anglicised name is something that amuses me. They held a weeklong Fest and the veteran D. K. Pattammal was the first recipient. The Fest was from 26th January to 1st Feb and they declared that that would continue FOREVER FROM THE SAME VENUE AND SAME DATES. By the end of that fest the Govt. sensibly discovered that January 26 was not such a convenient date and announced that from the very next year onward the festival dates would be Jan 27th to Feb 02 FOR EVER FROM THE SAME VENUE. It is a minor and forgivable omission that the Govt. 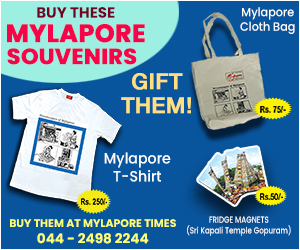 did not think of asking permission of the Puthen Malika Museum (Kuthiramalika Museum) the tenant charitable trust or the owners of the Kuthiramalika Palace, the Sree Padmanabha Swamy Temple Trust - the objects of that trust is only to support the temple. We were very happy the goverrnment went ahead spending a lot of money and getting great artists from all over India to perform. Suddenly in 2000 the Government felt that Swathi Thirunal was too great a vaggeyakara to be confined to his own palace and the festival should be taken around moffussil Kerala. A great idea indeed - except that when Thyagaraja aradhana goes to Clevelend Thiruvaiyyaru continues to have the Aradhana. In early January 2000 when my wife, son and I arrived after the Madras 'season' we heard that Kerala Government was taking the Fest to Wayanad & Kannur in 2000, that too on different days in Feb/March. We were shocked. By then we had spotted a few regular visitors from overseas for our fest - completely unattached to any artist. In fact our thoughts were mainly for those foreign visitors who made it a habit of including this week-long fest in their Kerala or South Indian holiday. We did not want to disappoint those coming from far away. My wife and son decided to go ahead and conduct a "Swathi Sangeethotsavam" from 27th Jan to 2nd February 2000. We had no money no other help. My wife wanted a series of concerts inviting only local artistes (to save on travel & accommodation). My son however went ahead - without the approval of his mother and invited great artistes. He did not disclose this for a few years that he spent his own money to get these artistes for the first three years of the festival from 2000. 'Sangeethotsavam' be advanced to the present slot of 6th January to 12th with effect from 2003. We used e-mails to inform all rasikas and visitors. I am glad you mentioned 'son et lumiere'. In fact around 30 years ago a Sound & Light show was done here by Soorya Krishnamoorthy, exactly as you suggested about the history of Travancore, etc supported by the Governmet. But like many good things started by government they end are abruptly. We hope with Swathi Sangeethotsavam it would be a different story. One thing that is still not clear for many outside Trivandrum is that these great concerts are absolutely free. The family considers this as a new year gift to the lovers of music. We hope to see more rasikas in 2009. The article on Swami Sangeetha Utsavam in Thiruvananthapuram is excellent. The photo gallery very pleasing. I am working in United Arab Emirates for the last 25 years. I am from Valiachalai Street, Thiruvananthapuram, and did my complete education from Trivandrum, graduated from TVM Engg college in 1975. During my school / college days I never miss to attend any programs of music, religious discourses, dance and other cultural and pooja programs held in Trivandrum, especially in the Fort area. Navarathri mandapam was a great national attraction. No words to explain the Bhakthi of Raja family towards Sri Anantha Padmanabha Swamy and music. I used to go to Padmanabha swami temple and eager to have glimpse of HH Mahraja, those days. It will be a great satisfaction, though I do not have personal experience of King’s Rule in Travancore. But my parents and relatives are associated with Raja family and Padmanabhaswamy temple and they always say so much good about Raja family and their dedication towards welfare of the citizens. I feel proud that the Music tradition is still continued by Raja family. I pray and wish all the success. I hope I will be one of the Rasikas in the future programs. Nice that finally Kutcheri Buzz attended the Swati fest. We tried not to miss it, but this year missed it by a few days. Your write-up reflects the spirit in which the fest is conducted without the usual halla - bulla one sees at Chennai fest. The atmosphere is so serene. Above all, one goes there not for the canteen upma and dosa!